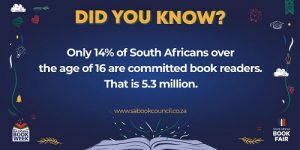 Last year the South African Book Development Council took over responsibility for the annual South African Book Fair, previously run by the South African Publishers Association. In doing so the SABF transitioned from a trade event with consumers at the periphery, to a festival of books and publishing.that put African literature back on the map. 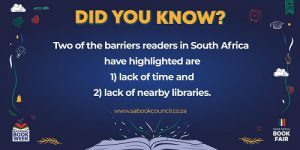 This year the SABDC is already active with its campaign to build excitement for the September book fair (7-9) which will be part of National Book Week in South Africa (3-9 September). Varying the numbers and these factoids could apply to pretty much any country in Africa. In every case, for every country in Africa, there is an elegantly simple solution that didn’t exist ten years ago. 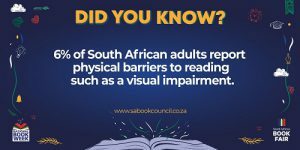 As yet South Africa is the only country on the African continent where ebooks are accessible in any meaningful way, and even here the choice is limited, with Apple notable for its absence and Amazon imposing whispernet surcharges on ebook purchases from the US store. 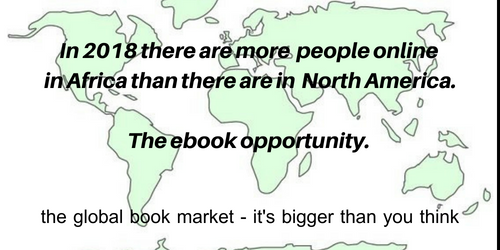 As of 2018 ebook retailers have pretty much ignored Africa, it seems still partying like its 2009, when most of the continent had no meaningful access. As we started 2018 there were 453 million Africans online. That’s 127 million more than the entire population of the USA. The USA is at 88% internet penetration. Africa just 35%. It’s not rocket science to see the potential. But it does mean taking the blinkers off.